Tom Brady and Gisele Bündchen were spotted enjoyed a beautiful Boston day out with their kids on Wednesday. Gisele carried Vivian in an ErgoBaby Carrier, while Tom pushed Ben in the stroller. 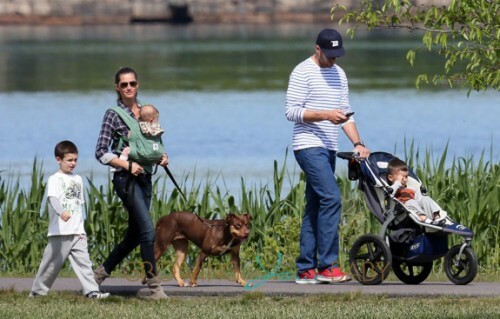 Tom’s oldest son John(from ex Bridget Moynahan) walked with Gisele as they made their way through the park. Also along for the trip was the couple’s dog Lua who got some love when the family stopped to relax. 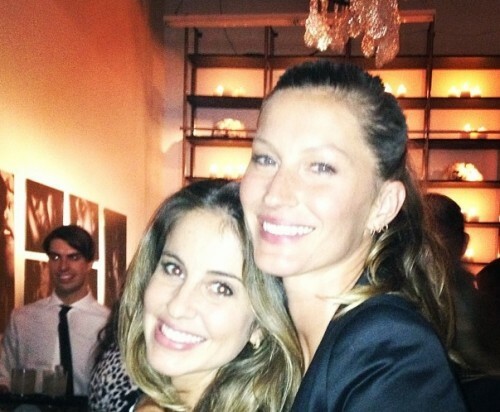 It truly was a family day all around for Gisele!